Pokémon Go has taken over Washington, D.C., bringing Federal buildings and employees into the gaming sphere. I journeyed from the U.S. Capitol building to the White House to discover Pokestops and Gyms scattered down Pennsylvania Avenue. 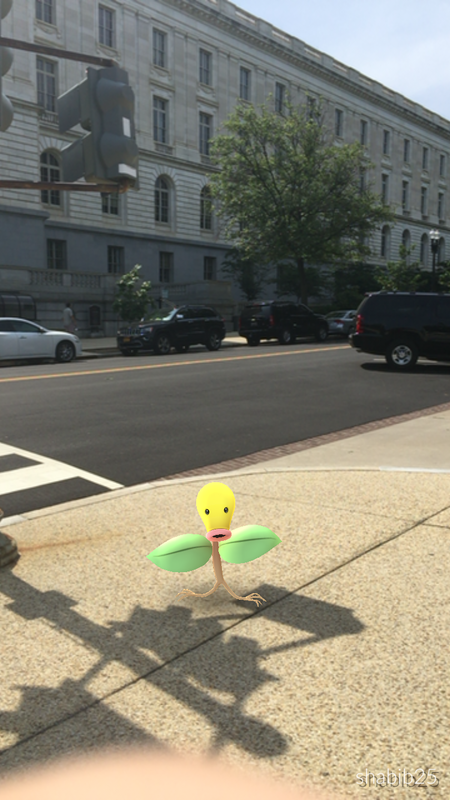 At the Russell Senate Office Building, staffers and senators alike have a chance to catch this Bellsprout if they’re lucky, but contenders must be quick because Pokémon can move around and even run away from players.